The following is the page for weekly availability. Together with the previous two timetable and service pages, these are all setup pages. Here you can see the flexibility and convenience of our scheduling software: first you define your schedules and your services, then you combine them together by defining your availability. 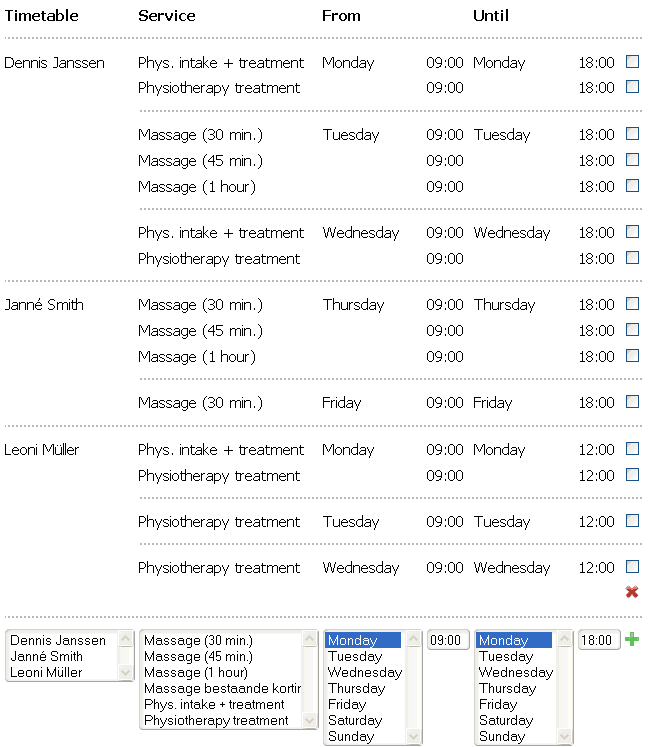 This example shows that Dennis offers physiotherapy on Mondays and Wednesdays, and massage on Tuesdays. Janne only offers massage on Thursdays and Fridays, and Leoni offers half days physiotherapy and intake treatments on Mondays only.